I have been running for the last 2 months targeting 10km in 1 hour. Till now I am able to around 6km in 30 minutes. After running I feel pain in the tibia bones when I press them. Could you please help me to subside the pain? One more question: I am going to appear in a physical test for central police on the 10th of October and they require 1.6 km in 6.5 minutes. Could you please tell me how can I increase my speed and stamina. Help me, I will be much obliged to you. Thank you for your questions about the pain you've been experiencing in your tibia & also about increasing your speed & stamina. The pain that you're experiencing in your tibia is likely due to shin splints. Shin splints happen due to an overload on the shinbone and the connective tissues that attach your muscles to the bone. Common causes of this are from running downhill, running in worn out shoes or running too fast, too hard or for too long. To help with pain relief, start by taking a few days of rest so that those muscles have a chance to recover & repair themselves. Also. icing the area should provide some relief as well. Put an ice pack or a frozen bag of vegetables (peas or corn work great for this) on the area for 15-20 minutes. You should ice the area just to the point of feeling numbness, any more than that & you risk frostbite. Also, check your running shoes. You want to be sure you're running in the proper shoe best suited for your foot type & running stride. Any local running shop should be able to help you assess the condition of your current running shoes & help you find the right shoes to see if you are in need of a new pair. Shoes really can make all of the difference; I say this from personal experience! If your pain continues to bother you after trying these things, I would suggest seeing your doctor to rule out anything more serious like a stress fracture. As far as working on increasing your speed for a physical test, I see that the date was October 10 so I'm assuming you have already completed it. I do hope it turned out well for you. Sorry I could not attend to your question beforehand. On the other hand, there is not much you can do in terms of fitness and health in a few days, there is no "last-minute miracle cure". If you are still looking to improve your speed though, I would suggest waiting until your pain issues have been dealt with as you don't want to do any further damage. Once your legs are feeling better, I suggest building a proper mix of easy / base running, tempo running and interval running into your weekly running routine. It's often the right combination of slower and faster running that will help you achieve the best results. 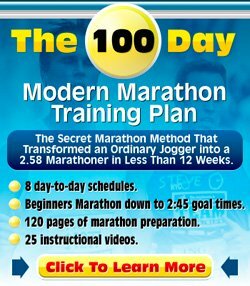 I would also advise browsing the running training section of this site for further running training advice.